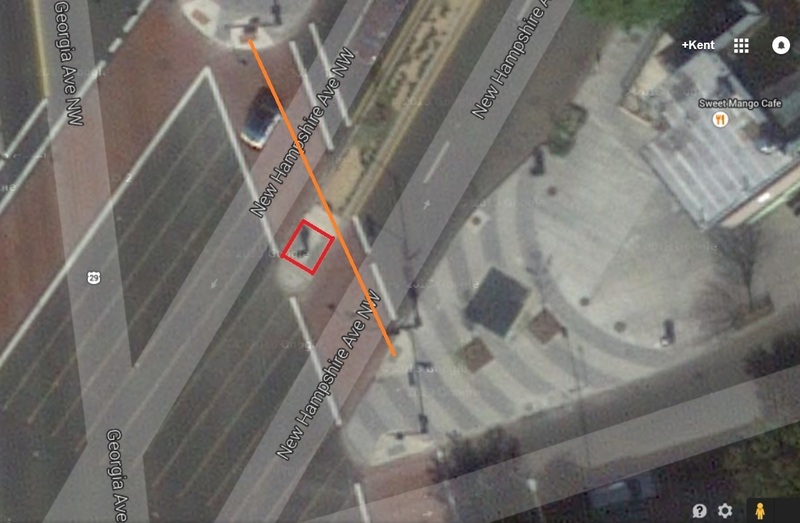 Reassessing Configuration of New Hampshire Avenue ADA Crosswalk Installation Locations | Park View, D.C. While inspecting the Flexipave work in progress on the New Hampshire Avenue median east of Georgia Avenue, I was reminded of just how illogical the configuration of the crosswalk across that street is. I recall that the Middle Georgia Avenue Great Street project that these crosswalks were part of occurred in 2011. While the crosswalks themselves are nice and wide, the ADA sections are oddly placed and don’t aline. While it seems odd from a pedestrian point of view, it must be frustrating to anyone in a wheelchair as they have to change directions twice to cross the street rather than travel directly across the street in a straight line. 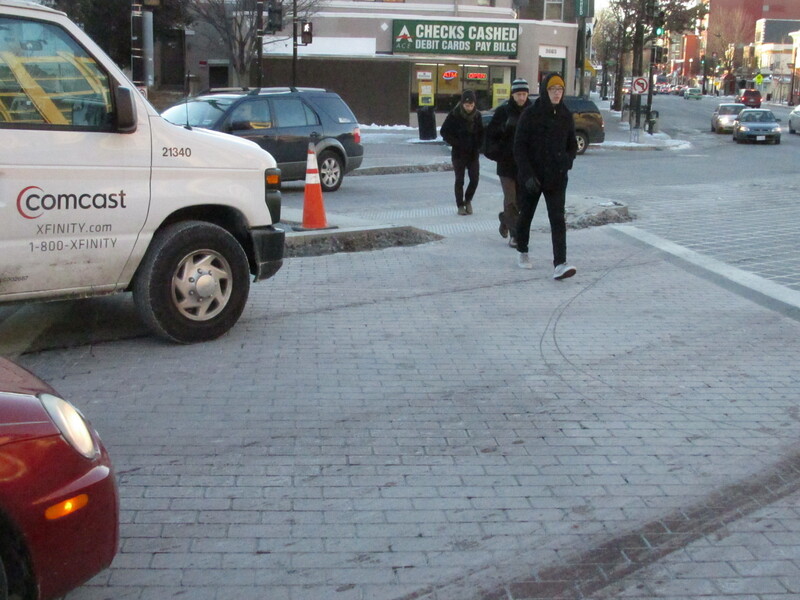 I’ve requested DDOT assess this crosswalk with regards to safety from an ADA point of view. DDOT has agreed to have their lead ADA coordinator and civil engineer in their Infrastructure Project Management Administration review the installation an report back. I’m not expecting a final report quickly, but do have every expectation that DDOT will follow through on this inspection. Below is an overview of how the ADA crosswalks align for those crossing New Hampshire Avenue between the Metro station and Sweet Mango Cafe. This entry was posted on January 9, 2015 at 7:01 am and is filed under Streets and Trees. You can subscribe via RSS 2.0 feed to this post's comments.